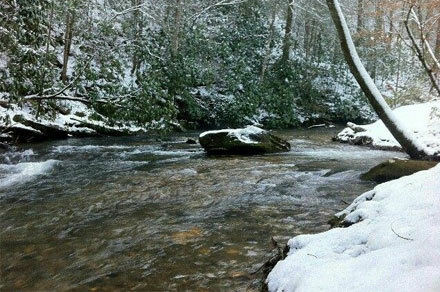 Each of the trout streams, creeks and rivers our expert fly fishing guides frequent across the north Georgia and western North Carolina mountains (all within 90 miles of downtown Blue Ridge) demand different approaches, which is why we customize our tackle and techniques to insure you have the best chance of reeling in a fish. Our experienced, knowledgeable customer service personnel will be happy to discuss the available options with you to help you pick the fly fishing expedition package that is most closely suited to your experience level. 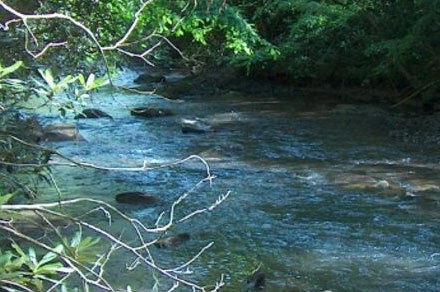 Named one of the Best 100 Trout Streams in the US by Trout Unlimited, the Nantahala River in western North Carolina is widely regarded as a premier fishing destination for anglers of all skill levels. 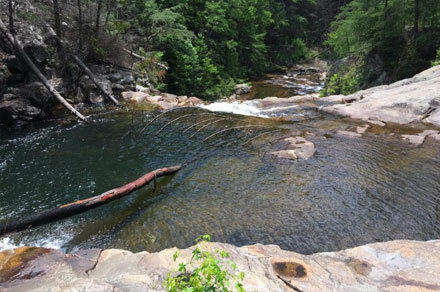 Float the Upper Toccoa River, which flows through pristine forest lands as well as private land, with our experienced guides. 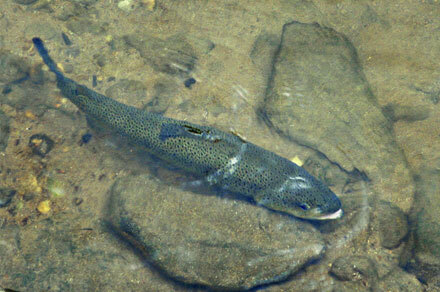 It’s home to stream-bred natives, with rainbow trout being predominant. 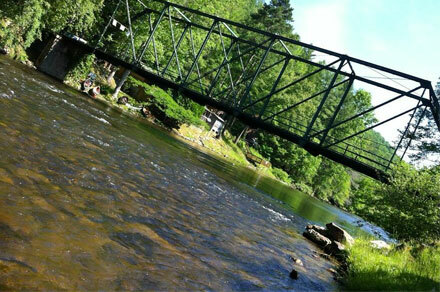 Both novice & experienced anglers will enjoy a float in our purpose-built boats on the Toccoa River tailwater. Smart rainbow and brown trout abound, but our guides will show you how to get ’em. 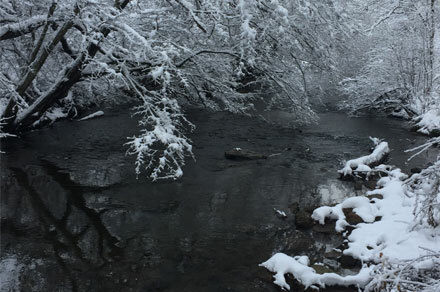 Wade in beautiful private waters with our professional guides who fish these waters year round and know how to connect with trophy trout better than anyone in the business. 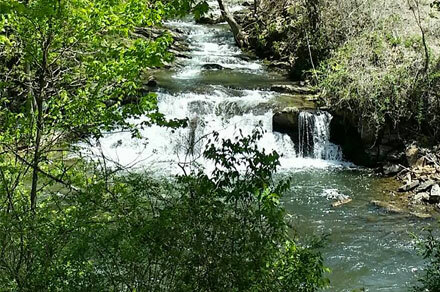 Fightingtown Creek, one of the most famous local trout streams, supports a gorgeous population of wild rainbow trout. Wade with our guides to learn or test your skills on these hard to catch fighters. 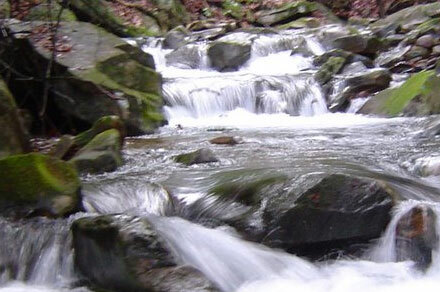 Our guides have exclusive private access along this beautiful stream located less than six miles from Blue Ridge. 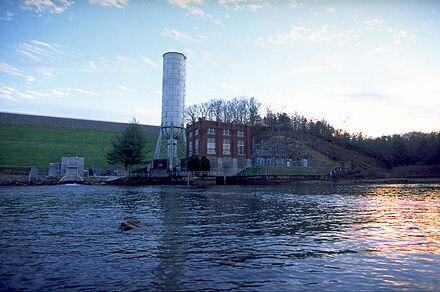 Wade Little Fightingtown and find a hot spot for rainbows and browns. Join our guides with exclusive access across private lands to wade Nottley River. Nottley is a great river to explore in the fall season when lake salmon start running up the river. Wade in a private peaceful stream full of rainbow, brown and brook trout. You will find, with the help of a knowledgeable angler guide, trophy trout are just waiting for you to reel in, on the fly! Float with our guides down the gentle Tuckasegee River in Jackson County North Carolina. 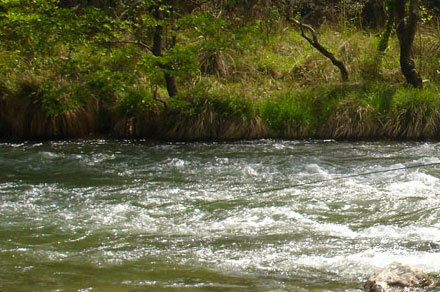 This river offers anglers abounding trout habitat areas, pools, runs and riffles for anglers of all skill levels. **additional $200 fee applies for time and travel expense. Wade in the private waters of the Soque River with our guides who have access to these well-maintained private waters, that are becoming legendary for producing rainbow and brown trout. 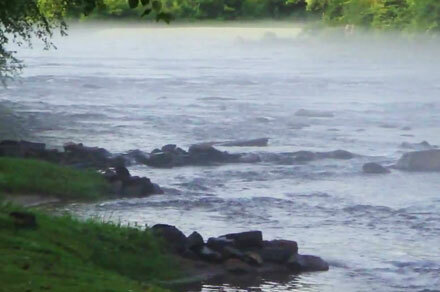 Jacks River is a bushy stream harboring trophy rainbows and browns. 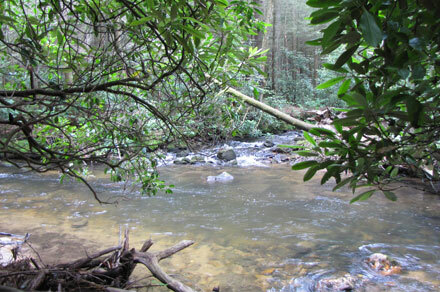 Due to an extensive hike this river is not recommended for all, but can provide a challenging day for the agile angler. This creek provides the lucky angler with the perfect opportunity to catch a rainbow, a brown and a brookie all in one day. Wade with our guides who know the places for the best chance of a trophy!